The founders of IoT-University.org are enablers who help the IoT implementers to focus on implementing. We make sure all of the implementers are working towards the same result and deal with things that take time away from creating. We are the leaders, managers, and assistants who keep your IoT business side of things running. Based on that we started the akorIoT idea. 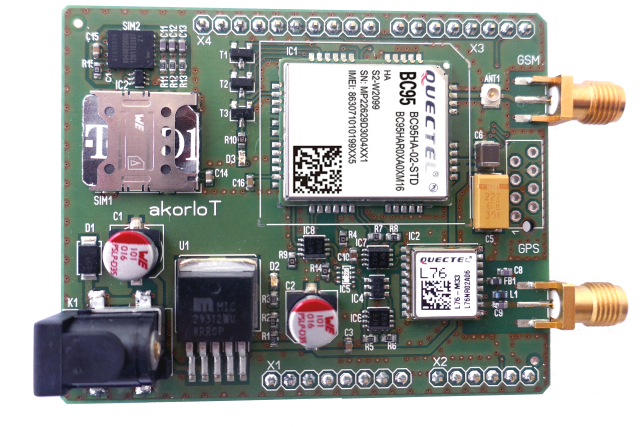 The forunners at the akorIoT team are collaborative leaders in wireless IoT. We realize the benefits of working together. We are visionaries and have an art for implementing results. Our success comes from realizing small changes in compassion, acceptability, responsibility, and empathy can have immediate impact not only on our IoT University bottom line but, more importantly, on our customers that make up their systems. The akorIoT team members are good problem solvers because they are good thinkers. The founders have less drama and problems to begin with and do not get overly emotional when faced with a problem. We usually see problems as challenges and life experiences and try to stand above them, objectively. The creative heads of the of the akorIoT know that good customer service is crucial, but once you get down to try defining what goes into it, not everyone is on the same page. To some, good customer service is as simple as solving problems and offering solutions in an expedient manner. Students want to learn and to educate them we need more mentors who love to share; we have space for eight more to join us. If you have something to share, join us. Become an IoT-University Mentor and help define the future. The IoT-university is not about marketing-driven content. It is about honest, actionable and technical intelligence – the information developers need to succeed in IoT. The IoT-University is led by veterans in the IoT/M2M industry and multiple of key publications and papers in the IoT/M2M space..